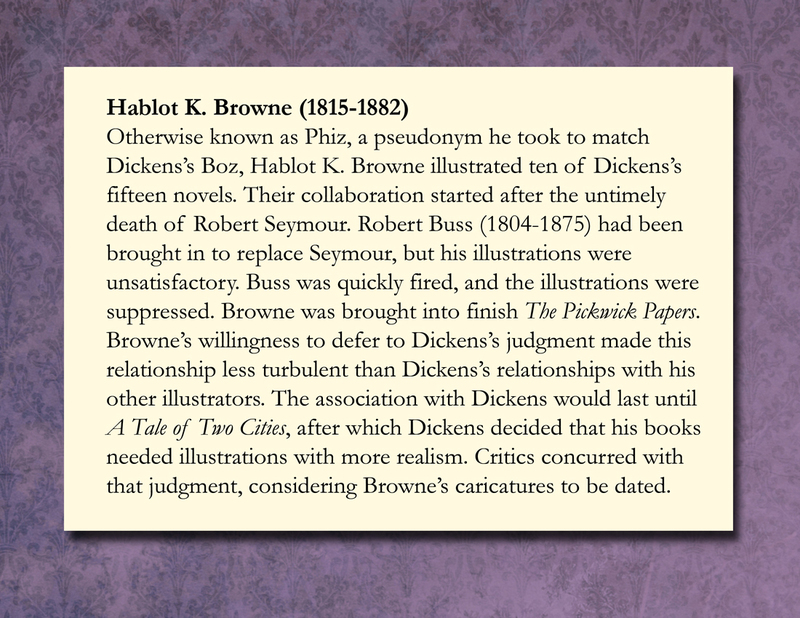 Otherwise known as Phiz, a pseudonym he took to match Dickens’s Boz, Hablot K. Browne illustrated ten of Dickens’s fifteen novels. Their collaboration started after the untimely death of Robert Seymour. Robert Buss (1804-1875) had been brought in to replace Seymour, but his illustrations were unsatisfactory. Buss was quickly fired, and the illustrations were suppressed. 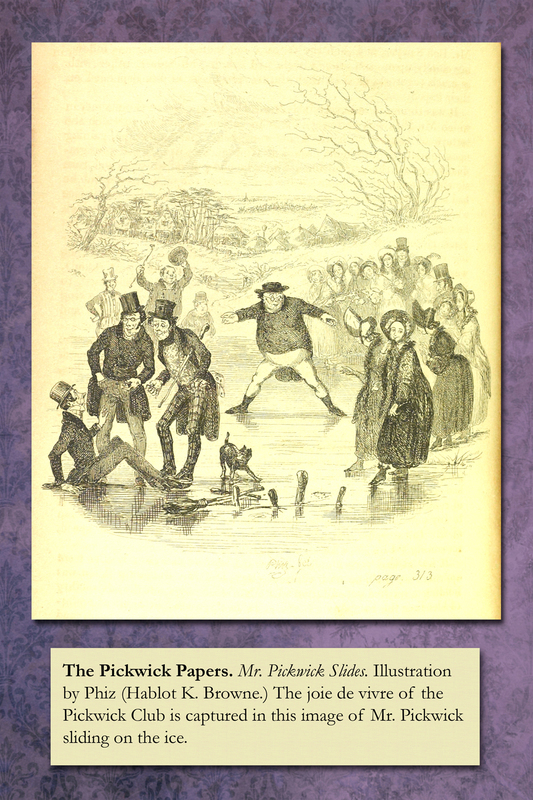 Browne was brought into finish The Pickwick Papers. 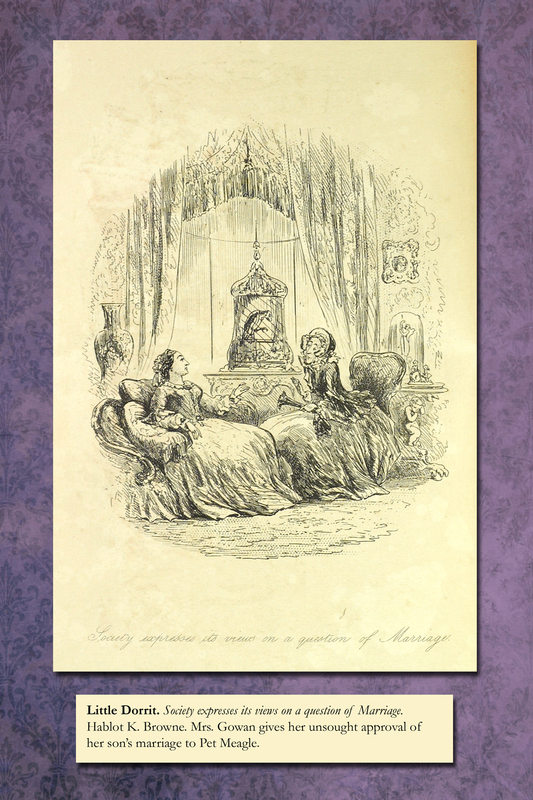 Browne’s willingness to defer to Dickens’s judgment made this relationship less turbulent than Dickens’s relationships with his other illustrators. 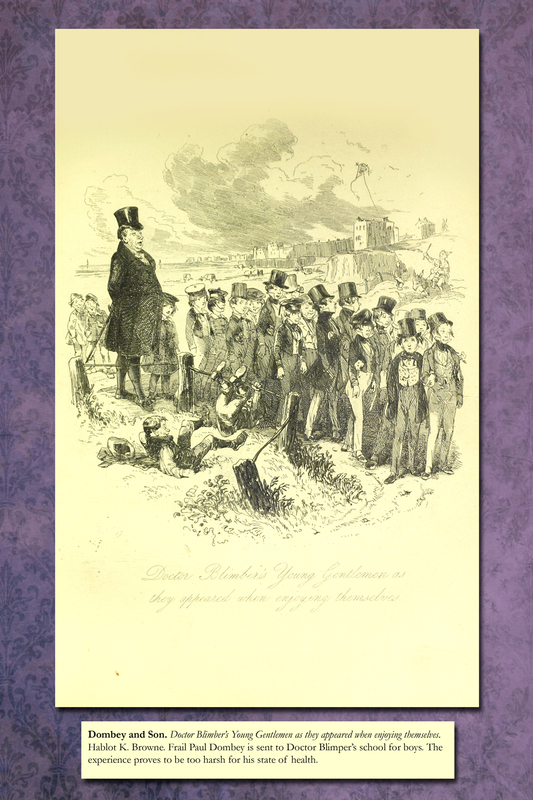 The association with Dickens would last until A Tale of Two Cities, after which Dickens decided that his books needed illustrations with more realism. 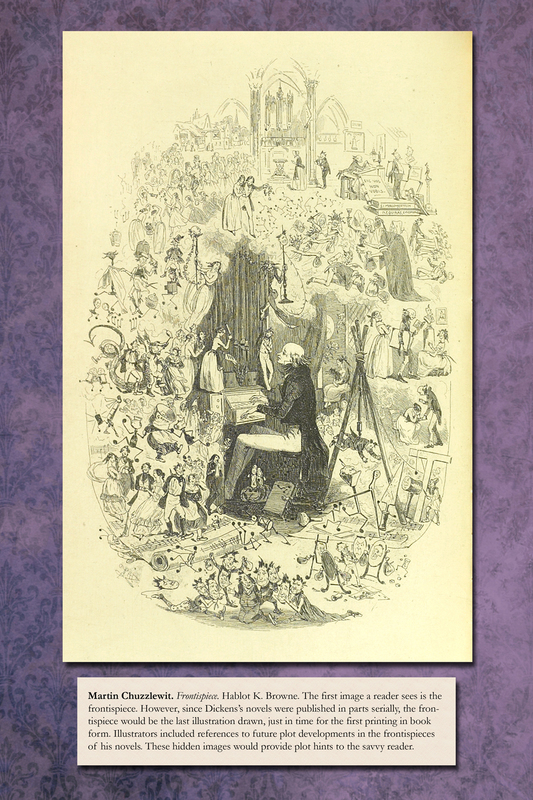 Critics concurred with that judgment, considering Browne’s caricatures to be dated. Martin Chuzzlewit. Frontispiece.Hablot K. Browne. The first image a reader sees is the frontispiece. 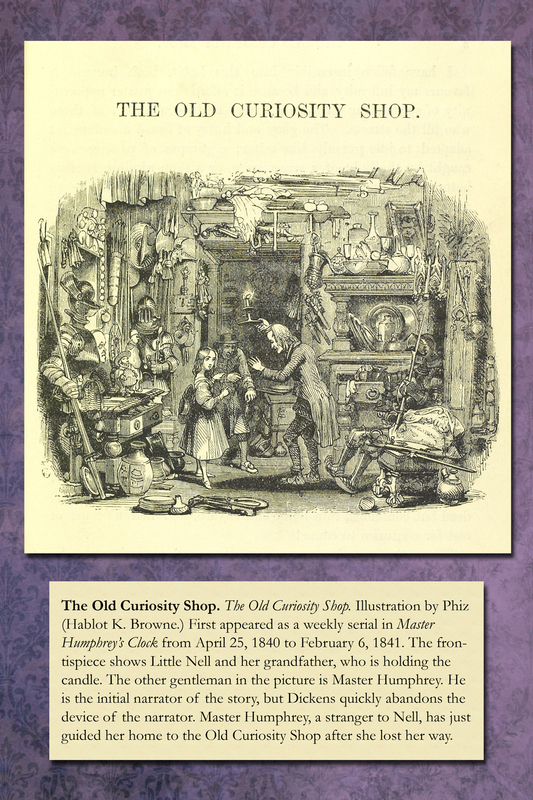 However, since Dickens’s novels were published in parts serially, the frontispiece would be the last illustration drawn, just in time for the first printing in book form. 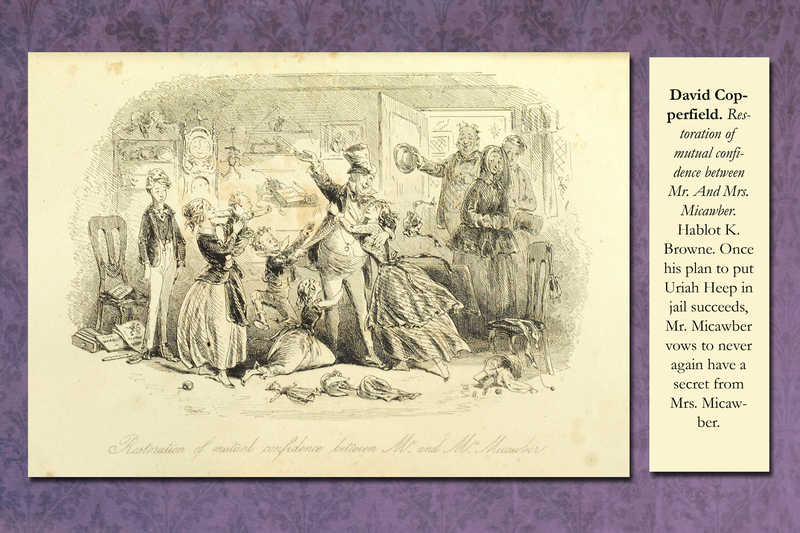 Illustrators included references to future plot developments in the frontispieces of his novels. These hidden images would provide plot hints to the savvy reader. Dombey and Son. Doctor Blimber’s Young Gentlemen as they appeared when enjoying themselves. Hablot K. Browne. Frail Paul Dombey is sent to Doctor Blimper’s school for boys. The experience proves to be too harsh for his state of health. A Tale of Two Cities. In the Wine Shop. Hablot K. Browne. Madame Defarge knits on the infamous shroud as the spy John Barsad loiters in her wine shop, hoping to gather information about the looming revolution. Little Dorrit. At Mr. John Chivery’s tea table. Hablot K. Browne. 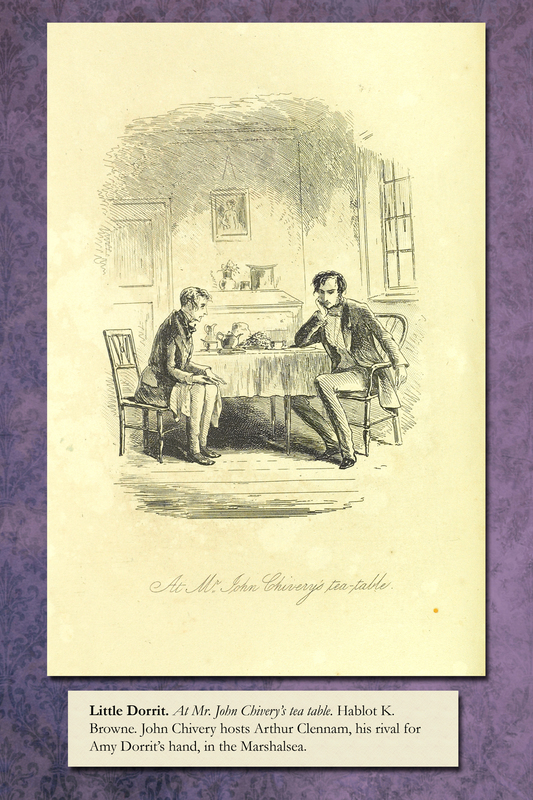 John Chivery hosts Arthur Clennam, his rival for Amy Dorrit’s hand, in the Marshalsea. Bleak House. 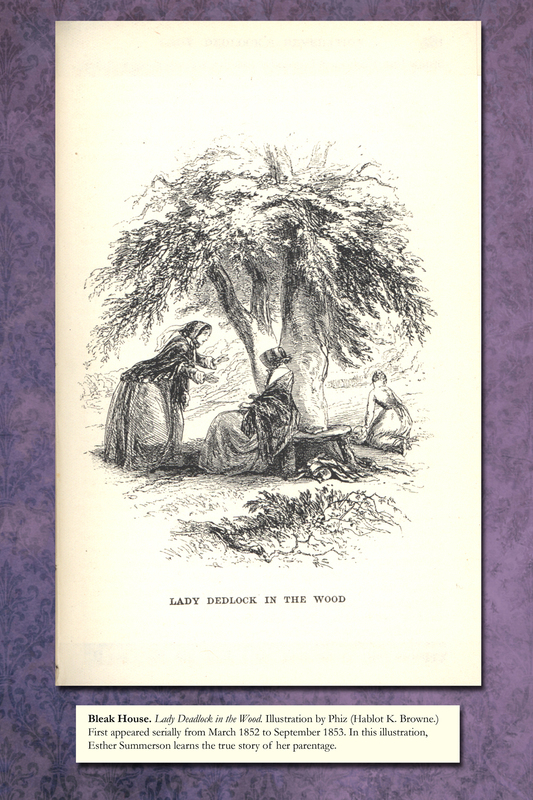 Lady Dedlock in the Wood. Illustration by Phiz (Hablot K. Browne.) First appeared serially from March 1852 to September 1853. In this illustration, Esther Summerson learns the true story of her parentage. 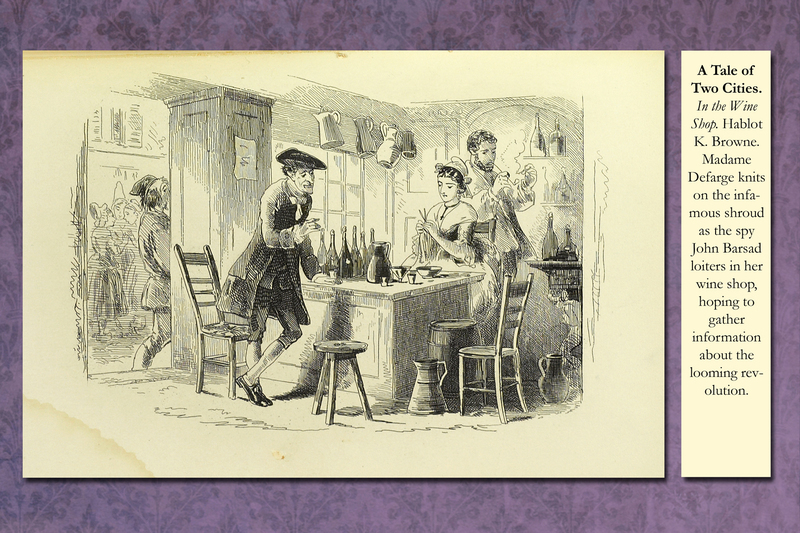 The Life and Adventures of Nicholas Nickleby. Miss Nickleby introduced to her Uncle’s friends. 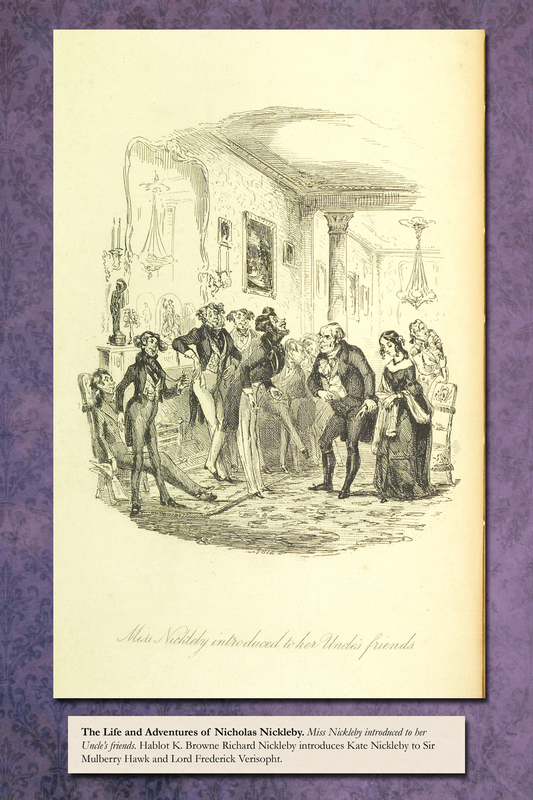 Hablot K. Browne Richard Nickleby introduces Kate Nickleby to Sir Mulberry Hawk and Lord Frederick Verisopht. 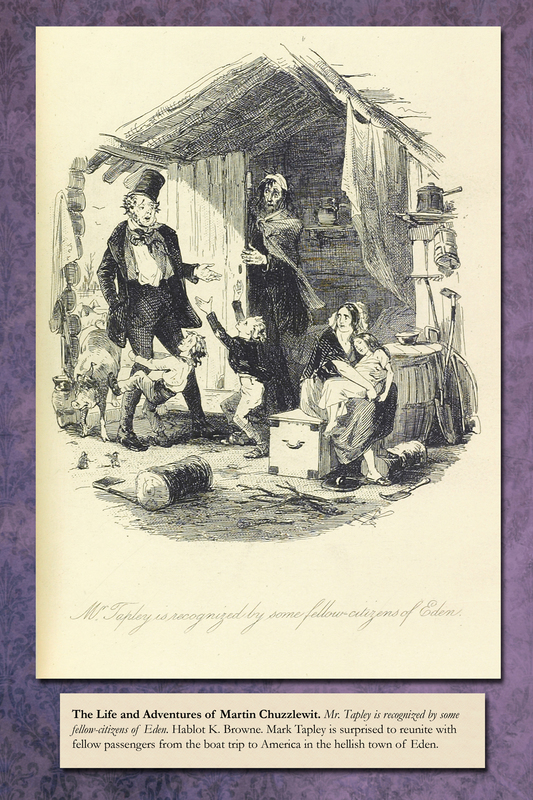 The Life and Adventures of Martin Chuzzlewit. Mr. Tapley is recognized by some fellow-citizens of Eden. Hablot K. Browne. Mark Tapley is surprised to reunite with fellow passengers from the boat trip to America in the hellish town of Eden.